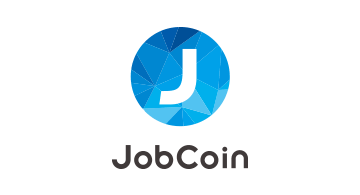 JobCoin is Ethereum based smart contract Advanced Wage Payment (Advanced Payment of Salary Equivalent) digital currency which allows payment of advances on salaries and other items of considerations an employee is entitled to by transferring the appropriate amount of JobCoin on demand of the respective employee, or automatically in accordance with the time worked. JobCoin is expected to achieve an effortless payment experience regardless of card companies or a device by building partnerships with various payment settlement businesses and allowing smartphone wallets and charging onto prepaid cards along with the Advance Payment of Salary Equivalent. JobCoin provides effortless money transferring for the two billion people in developing countries that do not hold bank accounts. There are 232million people in the world that are immigrants or overseas workers. Many hold background in developing countries, and struggle paying high fees to send money back home. JobCoin will contribute to cost efficient transfers and eliminating high transfer fees.